The information and pictures on the Wright family comes from several researchers. I hope you will enjoy their findings, memories, and collection of items related to their family. July, 2007 I have received more emails from Calvin and Susan along with some interesting pictures. 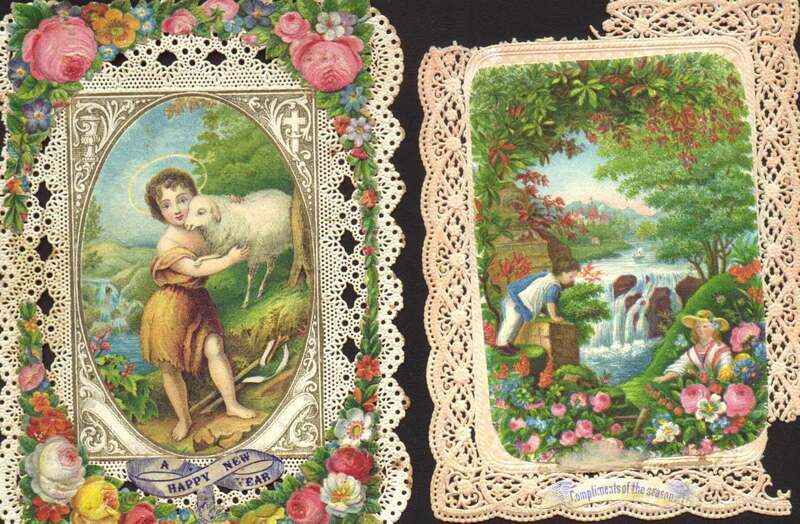 These old greeting cards were sent from the Wright Family in England to the Wright Family in Kentucky in the late 1800's. These were kept over the years by the Whitis family. Thank you for sharing with us, Cindy. 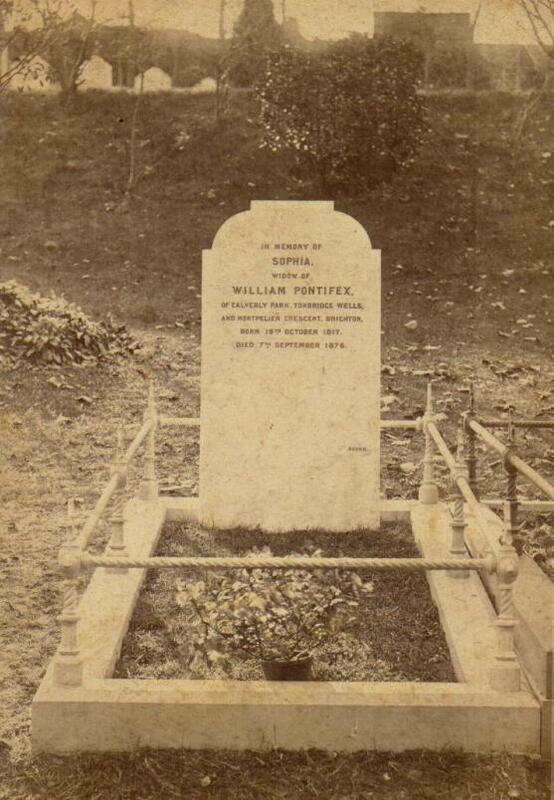 The picture of Sophia Wright's head stone was also shared by the Whitis family. In 1845 a friend of the Wrights returned to Cambridge for a visit and wrote and sent this letter back to Kentucky to Charles Wright. It is an interesting story. 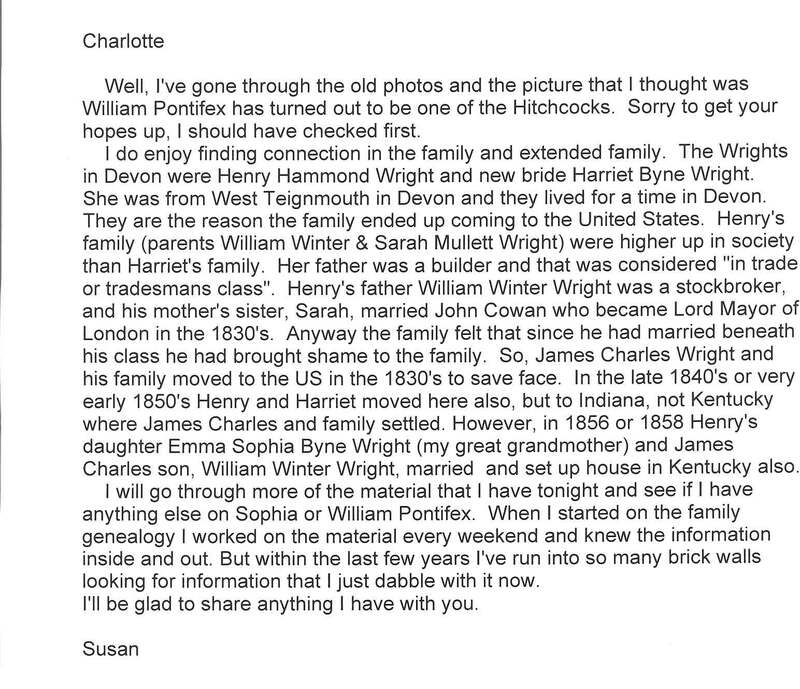 Another researcher, Calvin James Wright of Oklahoma sends this Wright family history from his perspective. Notes on the Wrights from Susan. 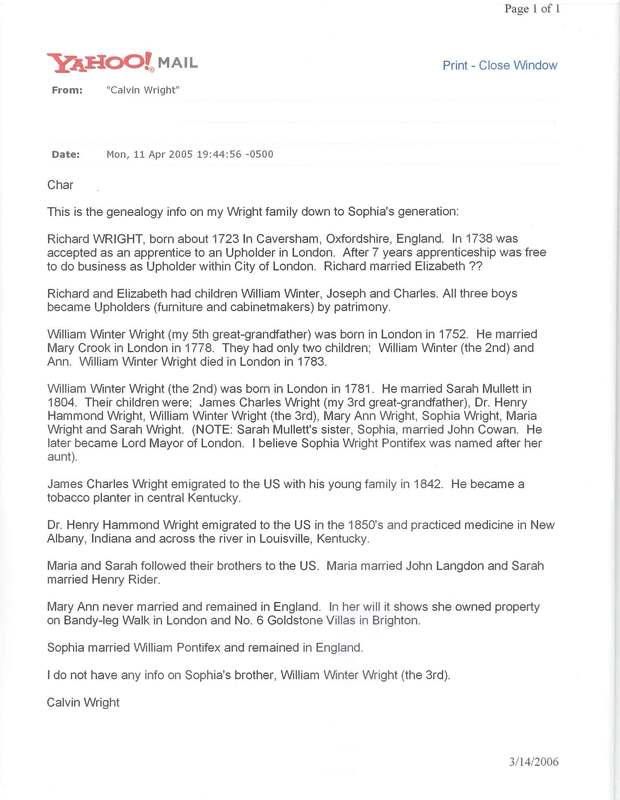 An email from Calvin Wright in England and his interesting report on the Descendants of Richard Wright. 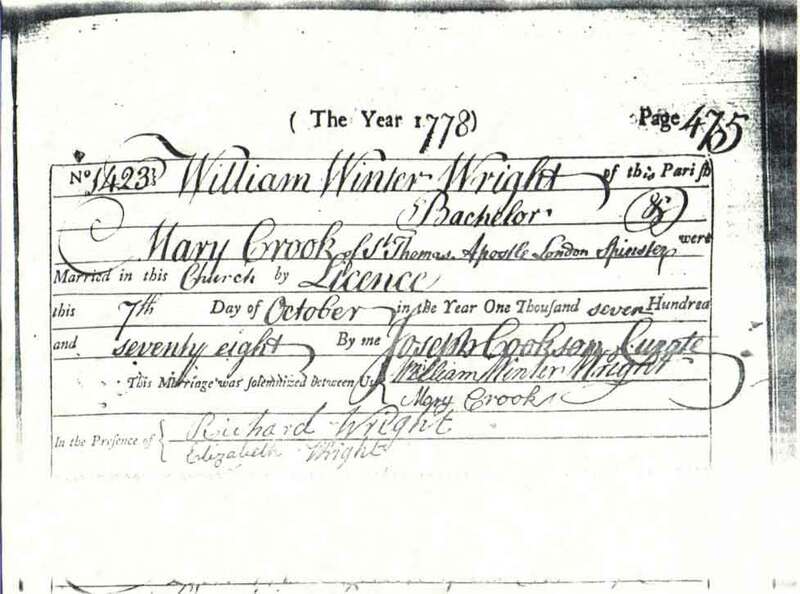 A copy of the marriage license between William Winter Wright and Mary Crook in 1778. 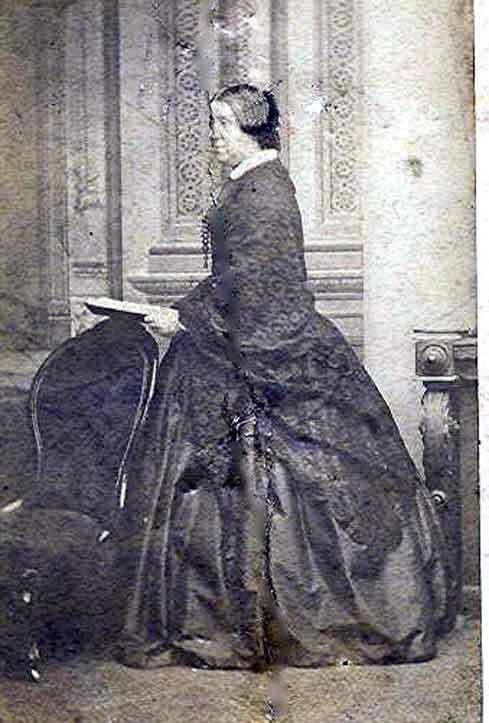 Sophia Wright born about 1818 in England was married to William Pontifex as his second wife. 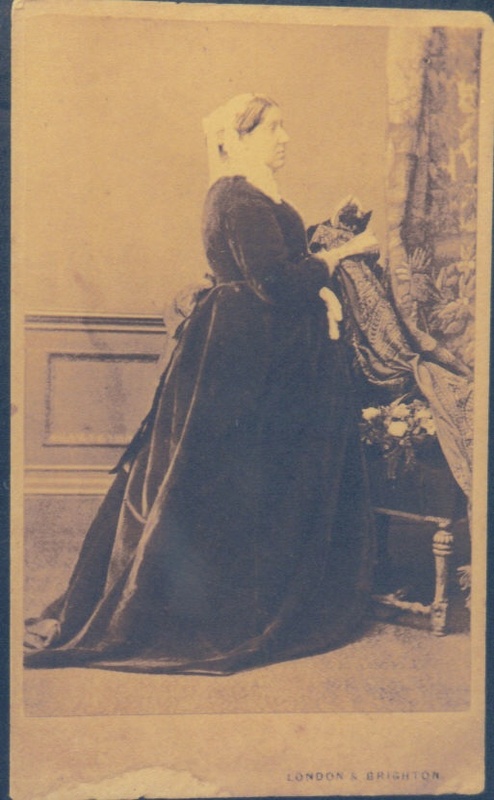 Here a picture of her headstone and below a couple of pictures of Sophia who died in 1876.